Through the music, the participants can develop a range of skills, self-confidence and ways to work better with others. Bring the Communities of Millview Crescent and Greenhills together through Music events. Developing a music infrastructure in Ballina which does not currently exist. Use highly trained youth teachers to teach music to other young people. Build viable and sustainable communities in the area. Moy Valley Resources IRD recognised the potential, multiple benefits of a music project being established in Millview Crescent and Greenhills estate in Ballina. Funding for the project was secured from a number of sources such as Mayo County Council, Respond Housing Association, Ballina Beverages and private donations. The funding covered the costs of uniforms, tuition and instruments. Moy Samba held its first practice session on May 22nd 2012 with 29 participants aged from seven to fourteen years of age from Millview Crescent and Greenhills estate. 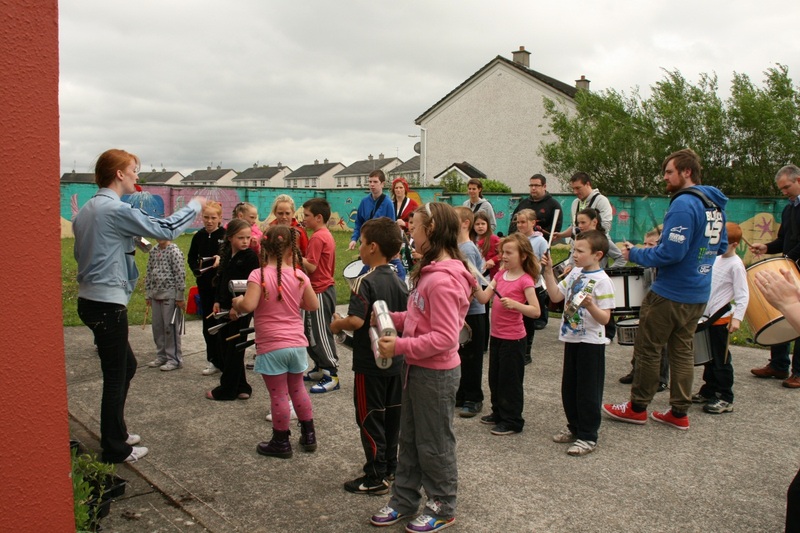 Twice weekly rehearsals were facilitated in the Millview Crescent community building and the band participated in many local events including the ever popular Ballina Salmon Festival Mardi Rag, in which the band won “Best Act”. 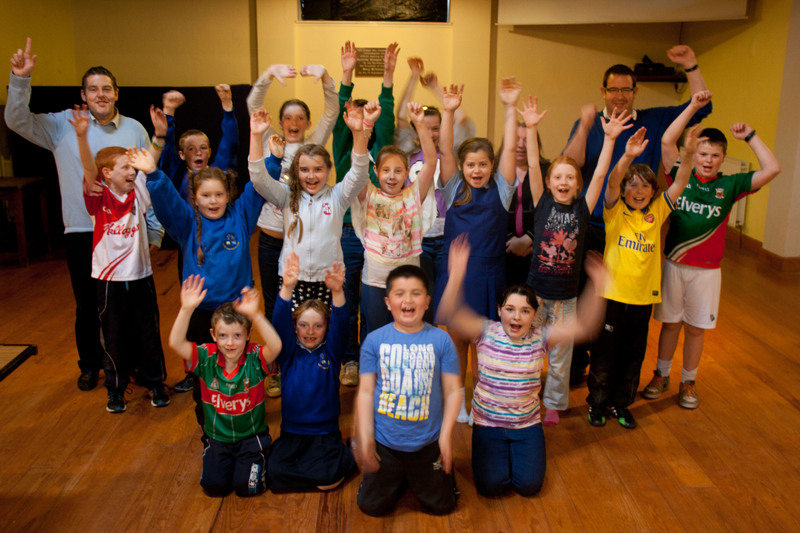 This year already Moy Samba have performed at the Ballina St. Patrick’s Day Parade, River Moy Half Marathon and led the Féile Peil na nÓg 2014. This September/October the Samba Band will be available for workshops in Schools in Ballina and throughout the surrounding area. If you would like to book your school for a workshop please call Moy Valley Resources on 096 70905 and ask to speak with Annette.